Parking available on street and in lot across from the restaurant. 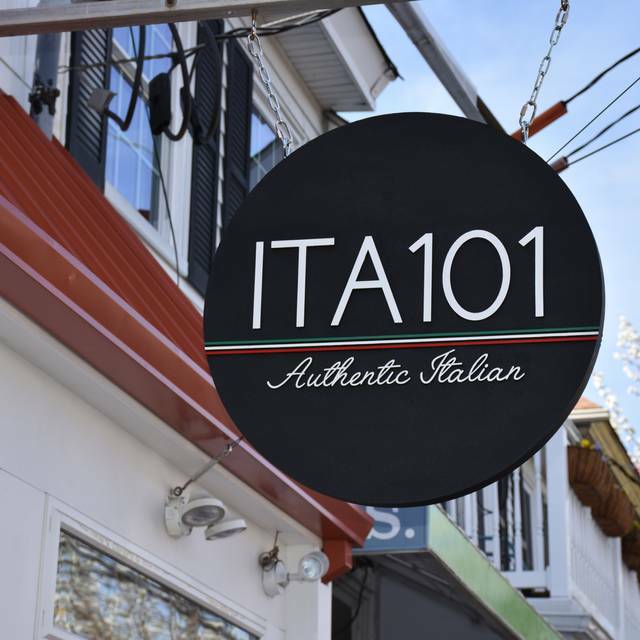 ITA 101 is an authentic Italian restaurant that serves a limited, rotating menu with fresh, local ingredients. Chef Kevin Maher and the ITA101 staff invite you to bring your favorite bottle of wine and enjoy gourmet Italian cuisine. ITA101 will give you a true farm to table experience. Chef Kevin only uses ingredients of the finest quality that are in-season. The menu is ever changing. Everything we had was AMAZING! From the seared provolone to the Molten chocolate cake with coconut ice cream. Anniversary dinner. Pistachio based Sagre. Incredibly good. Ricotta cotto, taglioni con seppia, cotelleto di maiale and gelato pistachio. Food and service were amazing. Great value too. The only complaint would be that it is very loud in the dining room. You can see that they are trying to deal with it because they have noise reduction panels on the walls and ceiling. But it’s still loud. Wouldn’t stop us from going again. Soon. This is a first look (at the menu) restaurant every time my wife and I are going out to dinner. Great relaxed vibe all around. 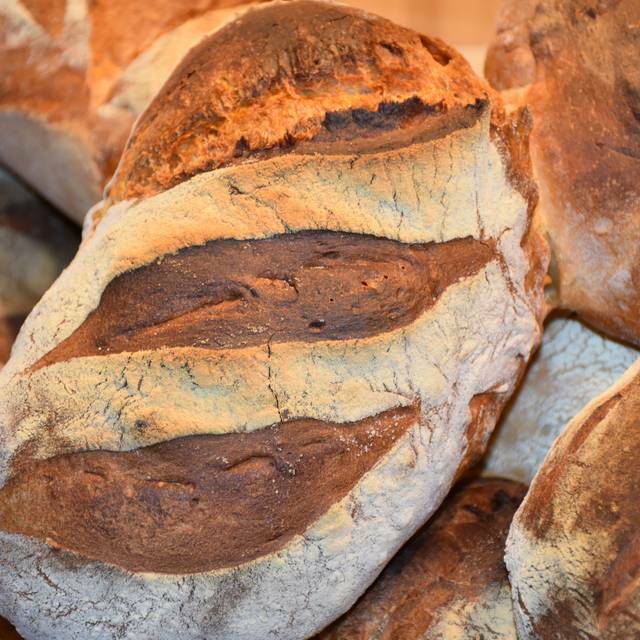 When you are seated, the first impressions are spot on: friendly, helpful, knowledgeable staff...and the fresh baked bread with the olive oil is delicious. It gets better...we typically go for the Wednesday/Thursday 5 course pasta tasting menu (best value), which changes every week and provides an opportunity to taste a variety of flavors and textures. The menu is constantly reinvented - there is always an opportunity to try something new and differentiated here. The cost is probably above average overall for a BYOB, but it is worth it, as the food is extremely fresh and top notch. Think quality over quantity - if that is you, then ITA101 is highly recommended. Always a fantastic meal here. Seared provolone and asparagus was delicious although they could have spared a few more asparagus. Squid ink pasta with clams, shrimp, sea bass was outstanding. Just a little heat in the dish was spot on. Osso bucco was so tender and flavorful and a huge portion - we split it between the 2 of us and still took some home. 2 of us shared all 3 dishes and they had no problem accommodating that request. The service is great and a very nice ambience as well. A gem in Medford! We arrived with our party of 4 and was seated away from others which was great. While we were asked if it was our first time here the waiter was amazingly helpful about this awesome restaurant. Since everything from the bread, pasta to the desserts all being homade. Well the food was just outstanding. We have already planned our next visit. 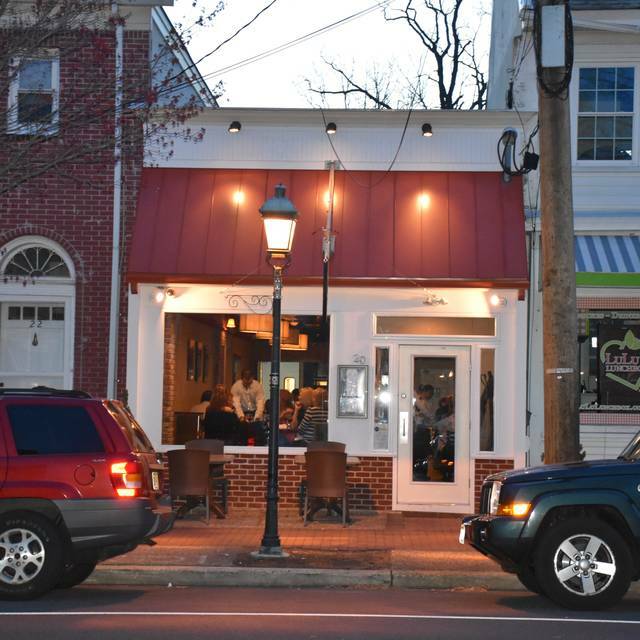 We have been referring to our friends as many people don’t even know this quaint place is here in medford. At the end of our meal it was very special We asked to speak with Chef Kevin and he was such a delight. Thank you for our wonderful experience. Excellent service and excellent menu choices. Always so original and delicious! Love to eat here.... could have used a few more ravioli but other than that .. perfect.. Patrick is the top server! Absolutely outstanding. Food, menu, service and value. A great experience. The food was top notch, the service was friendly and prompt . 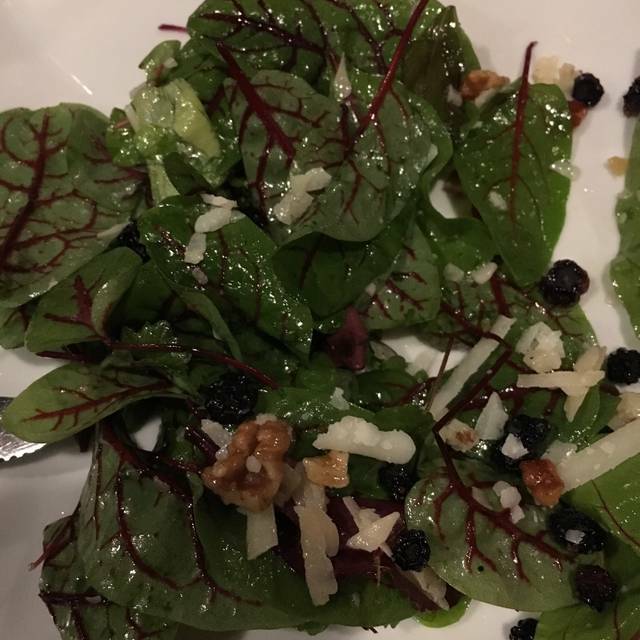 The fresh ingredients are so noticable. Excellent food. Fair prices. Quiet. Good service. Overall great experience and will return. I decided last minute to come in to dine here and left feeling very satisfied. 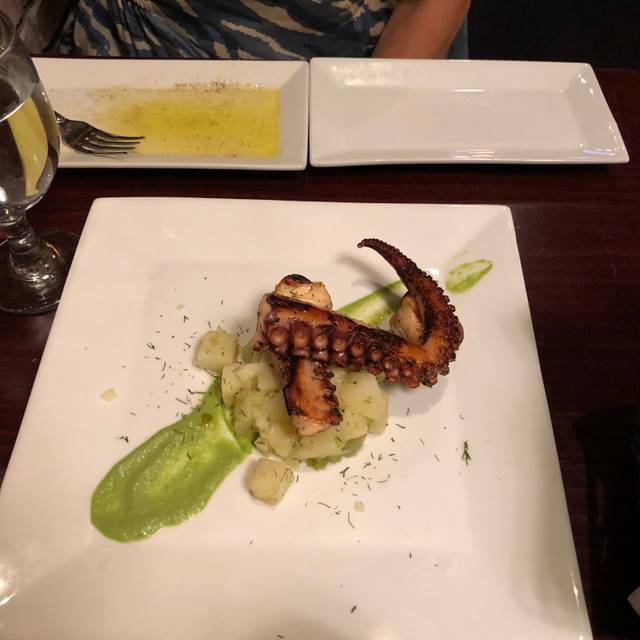 My date and I’m shared each course and it was the perfect amount of food and a chance to taste something from each course. The pasta was my favorite! 5 course menu was very good! Service was a little sparse at times but overall very good experience. It takes us 40 minutes to get to the restaurant. Not an issue at all. Can I give Chef Kevin 6 stars? 3 out of 4 of us enjoyed the meal. I was disappointed with the beef ribs. Mine was very chewy , not what I expected. Not a place I'd go out of my way for, but if you are in the neighborhood, it's worth checking out. The food fell short of very good/excellent, but it was fine. 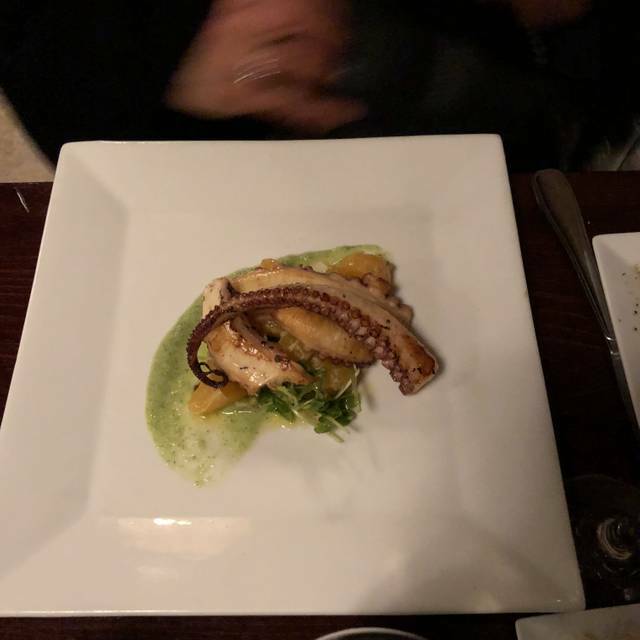 We found it all a little one note … no real unusual flavors … and the plating was less than beautiful. My husband's carbonara on a white plate with no garnish was not the greatest look. 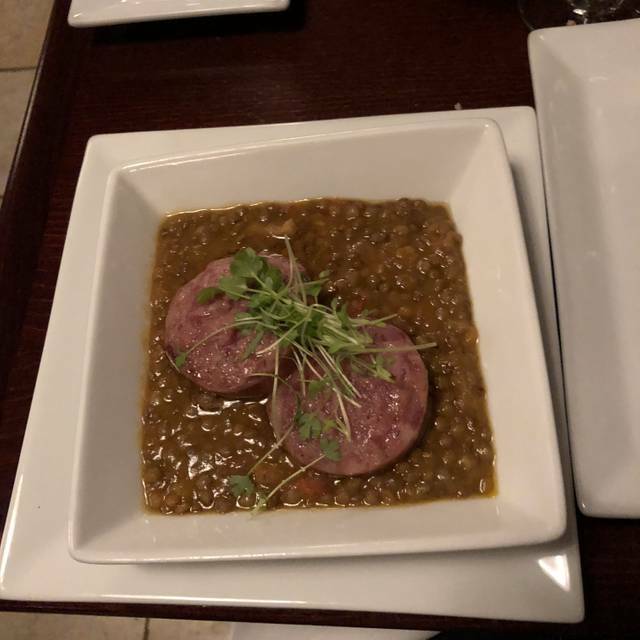 I had a dish that was kind of rust covered and soupy in appearance and could have been helped by some garnish or better plating. Friendly service, though, and worth a try. The service was amazing and the food was delicious ! We loved how low key the restaurant was . We definitely will be coming back again ! Food innovative and delicious. Service impeccable . Noisy with tight seating—a small restaurant —but nonetheless a visit is very worthwhile. Carly was a wonderful, pleasant, helpful server. The food is cooked to order, so plan to spend a long time there. The pasta dishes were good, but a bit expensive for pasta. The tagliolini with mushrooms & white truffles was tasty, but way too subtle..it could have used more mushrooms & truffles. The only truffles used were shaved on at the end, so it was missing the layers of truffle unctuousness I expected. The tiramisu was delicious, made at the table & great to share. The restaurant was pleasantly quiet..a great surprise! 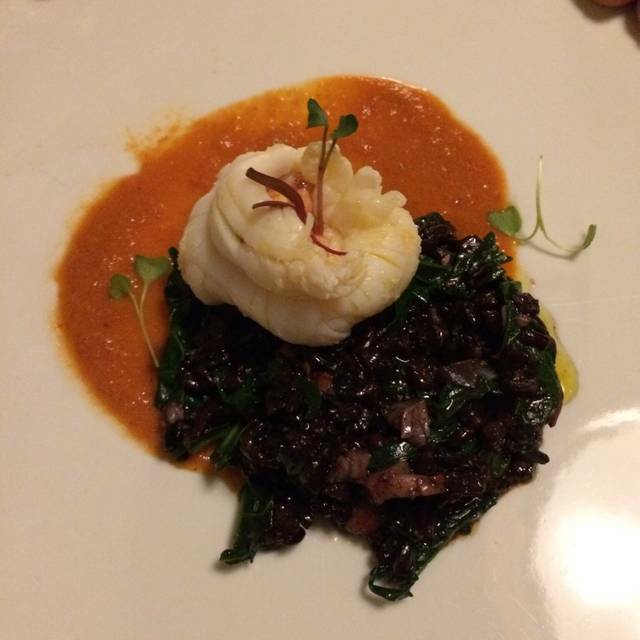 The Sagre menu on Sundays is a unique experience that is unequaled. Food was amazing as was the service. Very small restaurant. Literally sat with 4 other diners, as our tables were inches apart. Lucky for them we are nice —and visa versa. My husband loved his food. Mine was ok. I will try something else next time. And, as an FYI, 3 out of 4 of the strangers we sat with loved their meals, too! ITA 101 is not the same old, same old and I would definitely recommend checking it out. Once again a treat. This time with the Pasta tasting menu. This is one of a kind dining that brings you back to a real Italian experience. Food was amazing, service was awful. Server could not pronounce any of the names of the dishes or describe them besides what was written on the menu. She literally tried reading us the entire menu, super awkward. If the food wasn't so good it literally would have been the worst dining experience. Fabulous, creative food and superb staff! Really enjoyed the whole experience. One of the best meals I’ve ever had! I say that every time we eat there but this time it really was. So wonderful and exciting and just delicious. Favorite Date Night Restaurant! The Chef’s Pasta Tasting Menu is a great value for a quality, unique gourmet meal. BYOB is a wonderful opportunity to bring our favorite wine! Service is usually impeccable, however, for the first time in 6 visits, we felt rushed through our meal. This is not a good thing when being served 5 courses! It was the server’s style and NOT indicative of our prior 5 experiences here. Because the menu changes weekly, we can’t get enough and keep going back!! We just know now to ask for specific servers. They fit a lot of people into a small space. It was just my wife and I If you’re coming with a group get ready to sit up close and personal with someone. Food is good. Mushroom soup was a disappointment. Bread is very good. Homemade pasta is also very good. Fabulous food and service! Looking forward to dining here again. Food was outstanding. Seating is a little tight but would highly recommend and will be sure to visit again! Outstanding in every way. Service was attentive, meals were outstanding, homemade pasta and to to it off terramisu made fresh at your table! Small intimate with a constantly changing limited menu focused on local and seasonal availability. 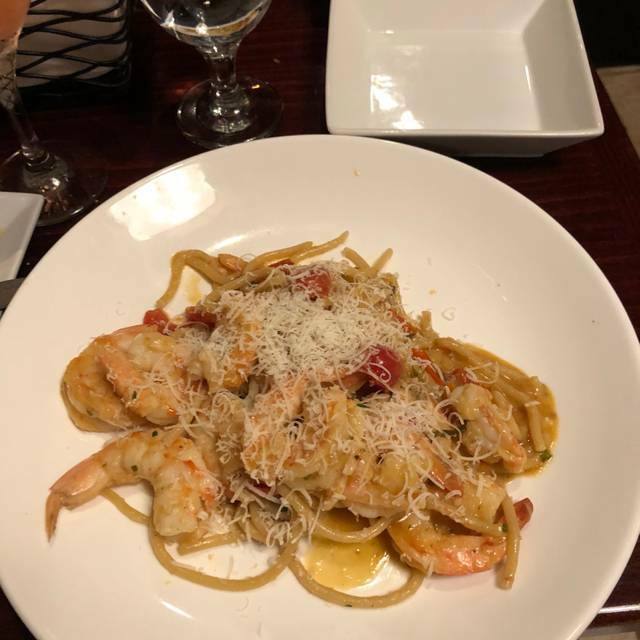 My wife and I dine at ITA several times a year and the meals are consistently excellent. Yesterday I had the Fettuccine al Cioccolato con Ragù di Cinghale and it was delicious. Service always above par. Food was delicious! It made for a great date night.